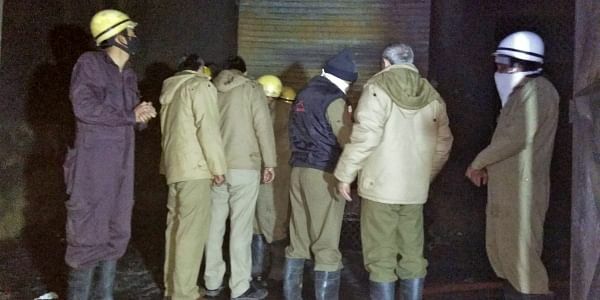 A massive fire broke out at a firecracker unit in outer Delhi's Bawana industrial area killing 17 people and injuring two on Saturday evening. NEW DELHI: Mayor of North Delhi Preeti Aggarwal was caught on camera, cautioning the officials from speaking against the firecracker factory, where fire broke out on Saturday, as it was registered with them. However, she later called the video fake and demanded an apology from Chief Minister Arvind Kejriwal for “spreading a lie”. “The worst part amidst this entire painful incident is that a fabricated video has been made viral. I expect Arvind Kejriwal to apoligise to me for spreading this lie”, Aggarwal told ANI in the national capital. The industrial area recorded three fires on Saturday - the first around 4 pm in a carpet manufacturing company in Sector 1, the second in the firecracker unit in Sector 5, and the third in Sector 3 at 7.30pm. Immediately after the incident, the city police arrested Manoj Jain, the owner of the firecracker factory. A probe revealed that the factory had "cold firecrackers", used in stage shows and Holi celebrations, said Rajneesh Gupta, Deputy Commissioner of Police (Rohini). Firecracker packages found at the site suggest the same, the official added. Jain had rented the factory from January 1, the DCP said. Jain was apprehended and questioned yesterday. The other partner of Jain has been identified as Lalit Goel.